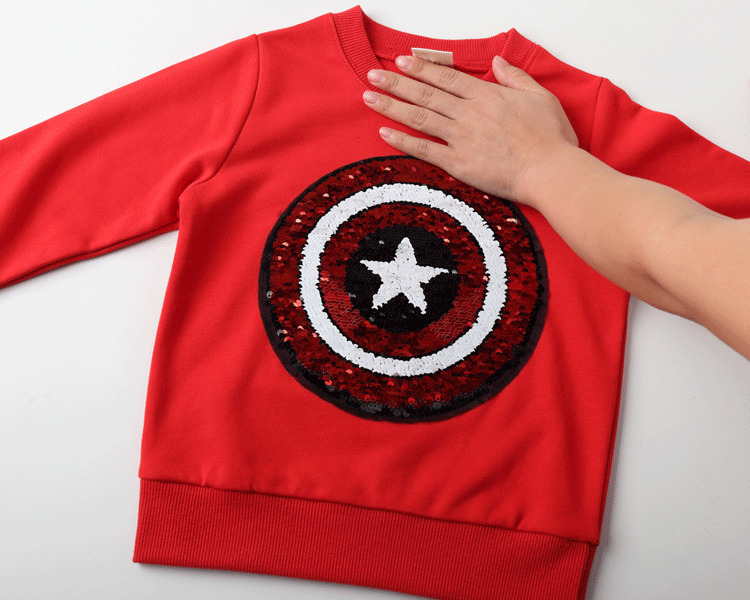 Shirt with round neck and short/Long sleeves, soft cotton with a reversible-sequin motif at front. 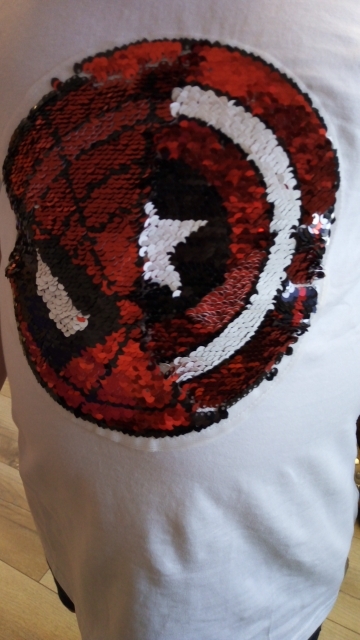 Cool t-shirt. 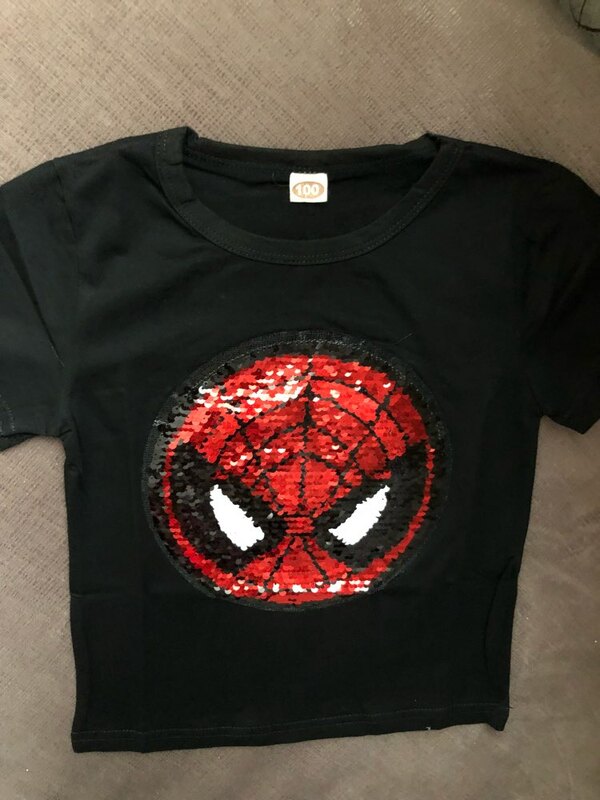 The son wanted this for a long time. 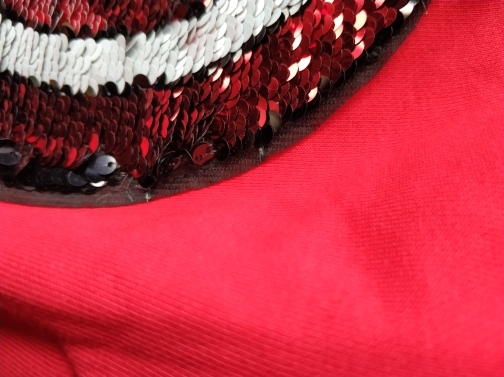 The sequins are even, everything is in place, everything is synchronously turned over. 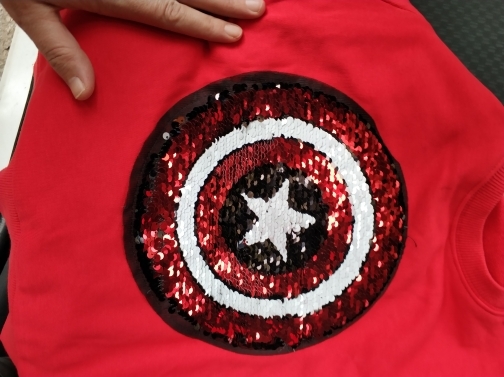 The jacket itself is of normal quality, but the applique leaves to do better. 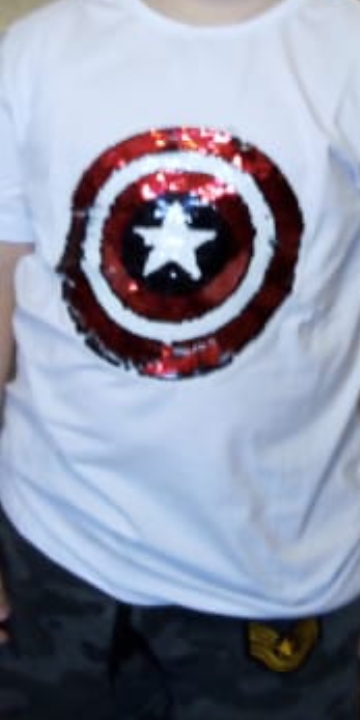 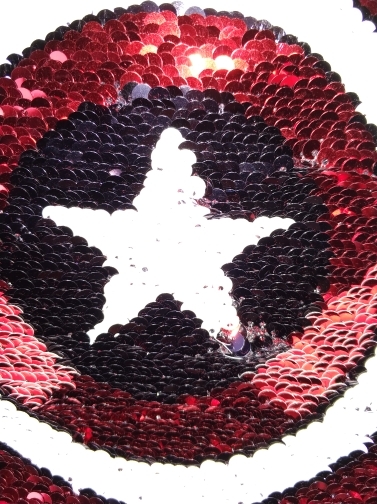 Not all the sequins turn, and when they turn on captain america's shield, spider's eyes are visible. 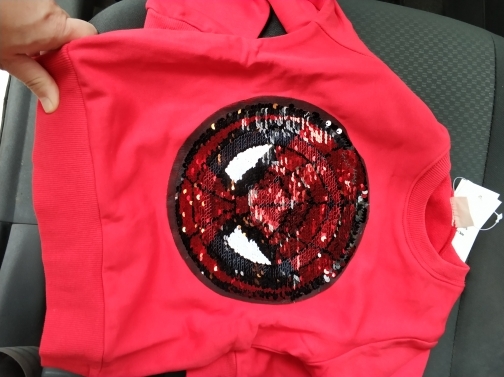 In general, in stores of course more expensive, but the quality is much better. 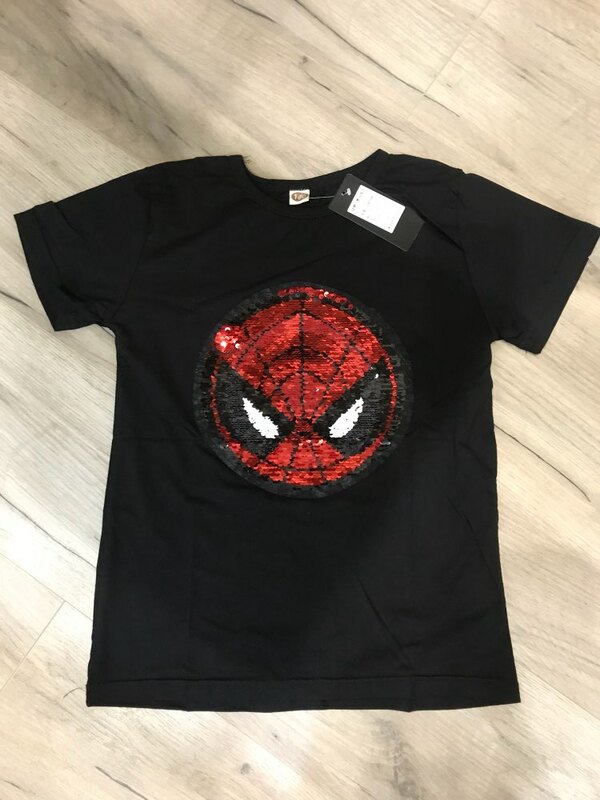 It looks great :) very fast delivery and good quality. 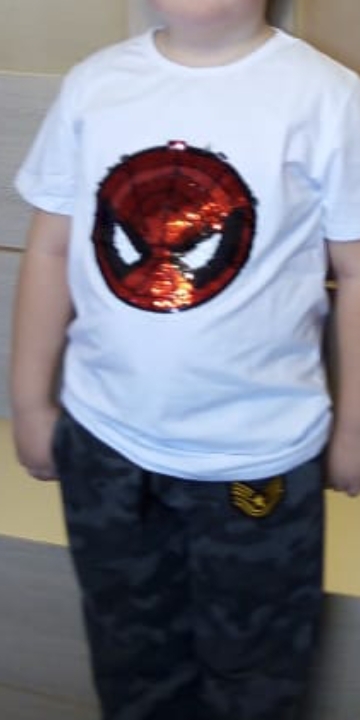 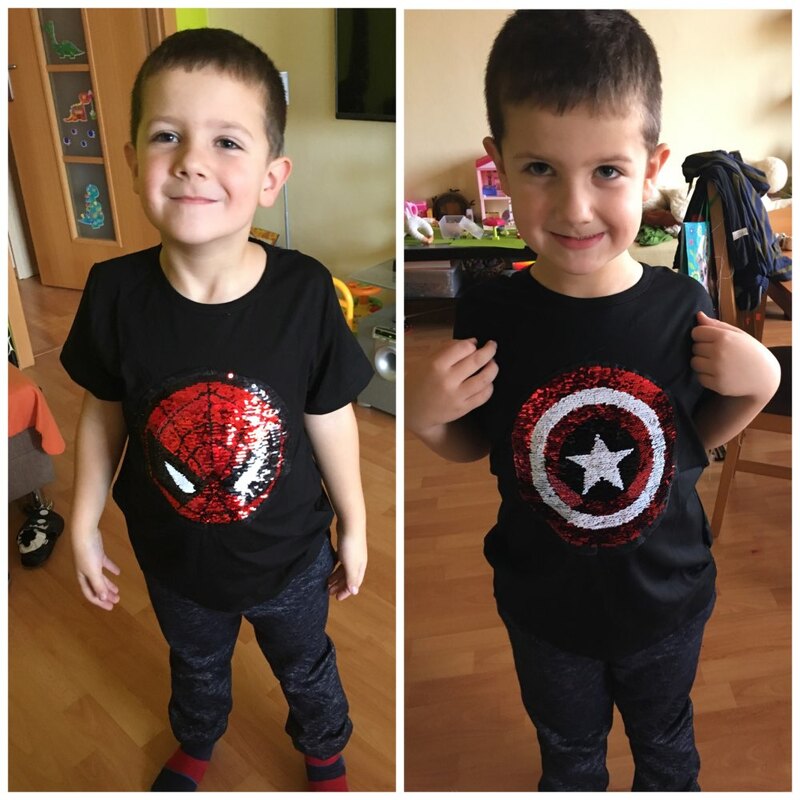 Ordered 9 t, the child is tall, 6 years old, its height is 130 cm, the t-shirt says a height of 150, as seen in the photo just.